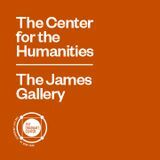 Founded in 1993, the Center for the Humanities is a public forum for people who take ideas seriously inside and outside the academy. We bring together CUNY students and faculty from various disciplines to engage with each other as well as with prominent journalists, artists, civic leaders, and scholars from other universities. The Center seeks to promote the humanities and humanistic perspectives in the social sciences. In the tradition of CUNY and the Graduate Center’s commitment to ensuring access to the highest levels of educational opportunity for all New Yorkers, all events are free and open to the public.